One of the new Pros should be 5.86 millimeters thick, according to images shared by well-known leak source Ben Geskin. 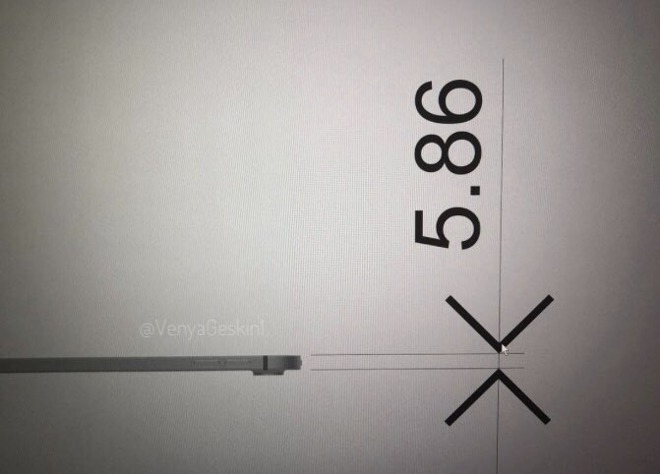 That compares against 6.1 millimeters on the current 10.5-inch model, and 6.9 millimeters on the 12.9-inch tablet. Another claimed design change is flat edges, akin to older Apple products like the iPhone 4. iPads have had rounded edges since 2011's iPad 2, and iPhones have sported them since 2014's iPhone 6. That may make it less likely that the renders are authentic given the shift in aesthetic, though it would be a way of setting new Pros apart cosmetically. Apple is expected to announce its new Pros sometime this month. 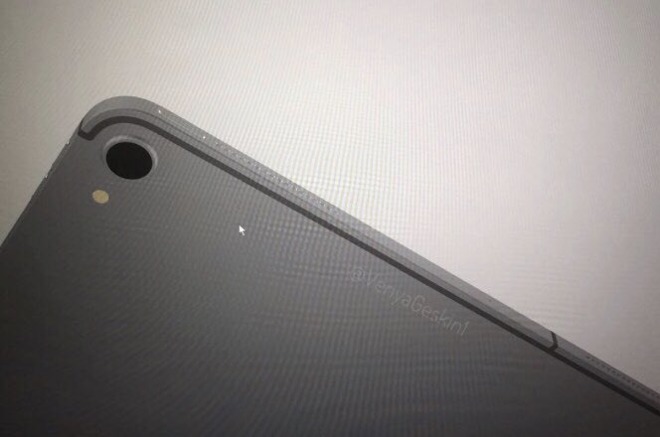 Multiple reports have pointed to reduced bezels, but none to flattened edges. 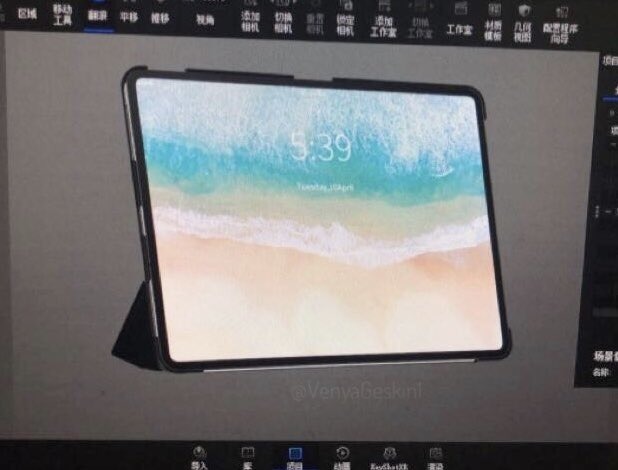 Other features may include a Face ID, an "A12X" processor, USB-C support, and/or a "Magnetic Connector." The last may be an update of the Smart Connector, but moved to the rear and compatible with more accessories. The Smart Connector has largely failed to take off, being supported mostly by Apple and a few third-party keyboards. Many iPad keyboards still rely on Bluetooth — a universal standard. If Apple does support USB-C, it may choose to replace the Lightning port, which would break compatibility with many previous iPad accessories. That could explain why Apple is rumored to be preparing a new Apple Pencil.